Four Malaysian homegrown talents will don the country’s colors on the undercard of ONE: VISIONS OF VICTORY on Friday, 9 March at the Axiata Arena in Kuala Lumpur, Malaysia. Gianni Subba is slated to lock horns with Filipino-Australian contender Reece “Lighting” McLaren in a three-round flyweight encounter, which will serve as the night’s main event. 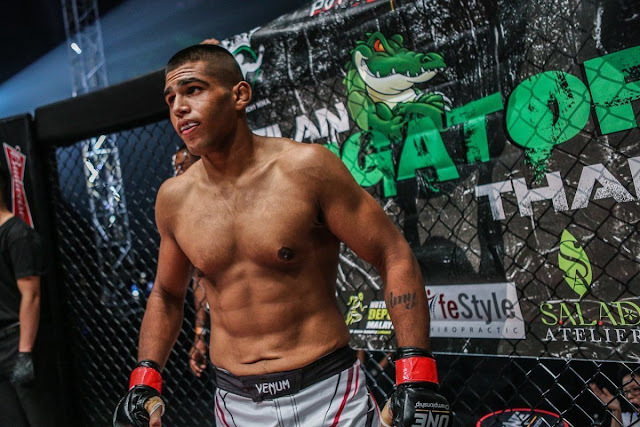 Agilan “The Alligator” Thani is set to duke it out with promotional newcomer Amitesh Chaubey of India, while Muhammad Aiman squares off with Cambodia’s Rin Saorth in a bantamweight contest. Moreover, Malaysian prospect Jihin “Shadow Cat” Radzuan is to make her ONE Championship debut against India’s Puja Tomar. The aforementioned four Malaysian athletes are seeking to hoist their country’s flag aloft by winning their respective matches at ONE: VISIONS OF VICTORY. “It’s an honor to represent Malaysia on a global stage like ONE Championship. I promise that I will do my best to give my beloved country another spectacular win,” Subba said. “It’s also a privilege and honor to compete alongside these outstanding martial artists from Malaysia. We assure our fans that we are motivated and determined to win our respective bouts for Malaysia. We guarantee that we will not disappoint our countrymen,” he added. Originally penciled to square off with former world title contender Danny Kingad on the same card, Subba was called up to the headlining bout to replace ONE Flyweight World Champion Adriano “Mikinho” Moraes, who was forced to pull out of his title defense versus McLaren due to an injury that he sustained in training. 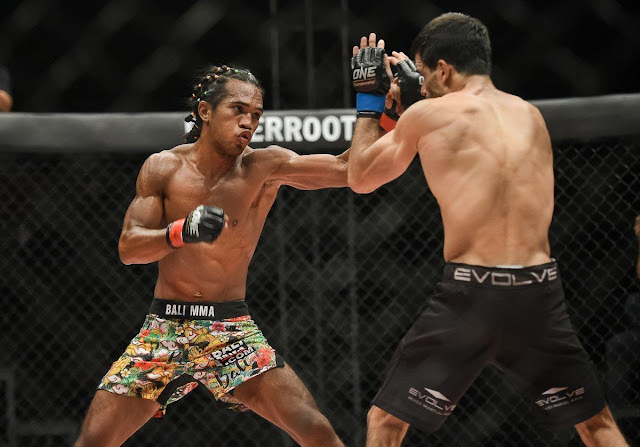 The 25-year-old Malaysian dynamo is looking to follow up on his impressive August 2017 decision victory over ex-flyweight world title challenger Riku Shibuya and has been training consistently at Bali MMA in an effort to secure a world title opportunity. “It is such a great opportunity to be in this position. Every martial artist dreams to become a champion. If I win, I believe that I am one step away from vying for that belt. I am not going down that easy in this bout,” Subba declared. Meanwhile, Thani expressed his exuberance to compete inside a packed arena that is filled with thousands of his countrymen cheering for him. “It feels great to be competing again in front of my countrymen. Every time I step outside the curtains and walk towards the cage, I feel the energy from the home crowd. Every roar from my countrymen gives me the adrenaline that I need for my match. It brings out the best in me,” Thani stated. Thani stressed that he still has his sights on the ONE Welterweight World Championship, but he asserted that defeating the toughest athletes in the division will get him closer to the gold-plated strap that he craves. On the other hand, competing at home is always a highlight for Aiman, who looks to continue his winning ways and eventually vie for a divisional world championship. As part of the preliminary portion of ONE: VISIONS OF VICTORY, Radzuan is a woman on a mission as she seeks to ace her first assignment in ONE Championship.